Recently, I watched the last message that Billy Graham left for us. I admit that never experienced his influence the way that many have. I never saw a single sermon he preached. But, I watched Billy Graham’s last message to America and the world because I am now in a place where I understand his significance. He said that “the cross offends because it confronts people.” That just sticks with me. 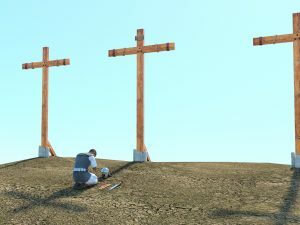 Why does the cross offend people? It offends because it’s unfathomable to understand that someone could suffer and die for us. Most of us have never had to choose to sacrifice our life so that someone else can live. I know I haven’t. I think about all of those kids in Florida who’s teachers placed their bodies between the gunman and the students. At that moment they counted the cost of their life compared to those young men and women. I am convinced that they knew that they could die. Yet, they chose it anyway. They sacrificed themselves so that others may live. They were heroes. Jesus placed His body between us and death. He didn’t do it because we were perfect. He did it because He loved us like those teachers loved their students. The Cross demands us to THINK about that sacrifice. The SACRIFICE demands us to THINK about how we live our lives. That’s why The Cross is offensive. It DEMANDS ACTION to examine the way we live life. Most of us would rather not scrutinize the state of our hearts or choices. It’s much easier to just live how we want. We would rather not have anyone or anything to answer to. By definition, the word “offend” means to cause to feel upset, distress, or rattled. To acknowledge Jesus and His sacrifice so that we could live rattles us. It brings us face-to-face with our choices and sinful nature. No one WANTS to admit their flaws. It makes us feel bad and worthless. The last thing we want to do is address our failures because it MAKES US FEEL BAD. No one wants to feel bad. I certainly do not. What we truly desire is to feel good. Sometimes, we will do whatever it takes to justify our actions because they feel good or make us happy. We want what WE WANT, and we don’t want someone telling us what we should or shouldn’t do. The Cross confronts that desire and DEMANDS that we respond in a way that expects us to change our behaviors and habits. I completely understand this way of thinking. For MANY YEARS, before I met Jesus, I lived this way. I didn’t want to consider the Cross, the sacrifice. Why would I live according to a way a man I never met said I should? He was just someone I read about in a religious text that the “Bible Thumpers” wanted to control me with. His sacrifice wasn’t real to me because I didn’t KNOW Him personally, nor had He lived in a time or place that I could touch Him. Many of you may feel the same way. You don’t KNOW this Jesus. It makes sense that these kids should live in a way that honors their memory, but Jesus is too far removed. Unlike those teachers, He is not tangible in the literal sense. But, I ask, does it make the sacrifice any less significant? He sacrificed Himself just like those teachers did so that we could go on to live an abundant life. He made a REAL SACRIFICE. History proves that Jesus lived and died on the cross. He spent His life loving people and bringing healing to them. He rebuked the religious spirit of the Pharisees. Jesus lived a moral life. He sought out the hurting and the outcasts to show them they were important. Are you OFFENDED by the three teachers who died saving those students? Then, why does the Cross offend you so much? Take humans out of the equation. Don’t judge the Cross by experiences with Christians or religious practices. 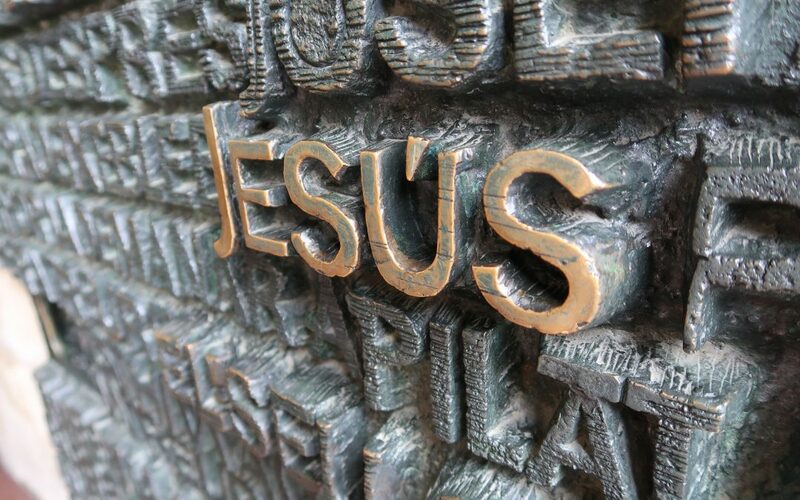 Look ONLY at what Jesus stands for in the Gospels. How is ANY of that OFFENSIVE? I know now that much of how I felt about The Cross was due to my brokenness. The wounds of life made it hard to imagine someone who I never met would love me that much to sacrifice His life for me. But, He did. He did for ALL OF US! He wants more than anything that we would live our life experiencing all the blessing that the Father wrote in His books for us. Sin and choice are what divides us and keeps us from what He dreamed up for us. We think that we are free when we live life according to our own rules and truths. But, in reality, we collect more chains and weights. It’s a lie that it’s easier or lighter. I have lived there. Bound and chained to my choices without regard to what Jesus says about it. It’s MUCH, MUCH heavier. Once you experience freedom it becomes clear. Almost like losing weight. You don’t realize how heavy that 50 pounds was until you lost it. Then, when you pick up a 50-pound dumbbell at the gym, a light goes off! Suddenly, you are acutely aware of how much it weighs and that you used to carry that around every day! Jesus wants to carry our weight. That’s what The Cross is all about. He is offering to carry all of our weight, our pain, and our sin. He wants to heal us and transform our hearts in a way we don’t WANT to pick up the weight again. But, He is gentle and kind. He won’t force it on us. Jesus is waiting for us to ask. Jesus is patient. He does not expect you to magically change everything in a day. He will love you through the process and teach you the ways of the Lord until all of your brokenness is gone. Will you lay down your offense at The Cross? Random Thought: I am not sure there is anything more beautiful than to be present when God descends on someone in a tangible way. It’s incredible when it happens to me, but it’s that much more awesome to experience the moment when revelation from God drops into someone’s heart and heals a broken piece. They way He shows His love to our broken parts is awe inspiring. I just imagine how this world would be if we were all open enough to let the “weird” stuff touch us. If we all tore down the walls that lie between us and the Holiest of Holy. If you like this post, you may like a previous post about God’s gifts. Also, follow me on Facebook, Instagram, or Twitter. Sometimes I post impromptu words there.